Sustainability Panel -“Future Cities: How can a sharing culture make Berlin more socially sustainable?” - GreenBuzz Berlin e.V. « Sustainability Drinks – Will Veganism Save the World? Future Cities: How can a sharing culture make Berlin more socially sustainable? 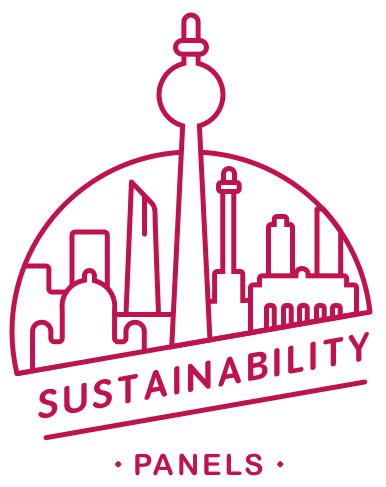 Join us as our panelists discuss how a sharing culture can make Berlin more socially sustainable. We will dive into the principles of sharing locally and globally, its advantages and disadvantages and how it can influence the sustainability of a community and bring people closer together again. Raphael Fellmer, Marko Dörre, Dr. Volker Siems, Scott Bolden will talk with Adrien Labaeye about food sharing, borrowing from and helping your neighbors, sharing event spaces and more. Fresh Square is a French company dedicated to making the 100% natural smart indoor gardening solution. Co-founded by two French girls, Lou and Solene, the firm’s vision is to bring back the natural way of producing and consuming organic food to the city, reconnecting urban dwellers to their own food. To push the vision even further, Fresh Square aims at building a lower carbon society based on circular economy and contribute to a more resilient world. Fresh Square is also the first product of the firm. It is the first and only autonomous indoor garden offering a full solution with a soil based system in the market. The product is made out of sustainable, recyclable and biodegradable materials. The soil is purely made out of organic waste, such as compost and manure. All being non-GMO and pesticides-free, the seeds Fresh Square provides cover a wide range of varieties including some rare species like chocolate mint or Thai basil. Empowering people to easily grow food at home, and thus be self-sufficient in fresh veggies and herbs all year round is what Fresh Square is all about.